“Climate change is one of the most pervasive and threatening issues of our time, with far-reaching impacts in the twenty-first century,” observes the United Nations Environment Programme. 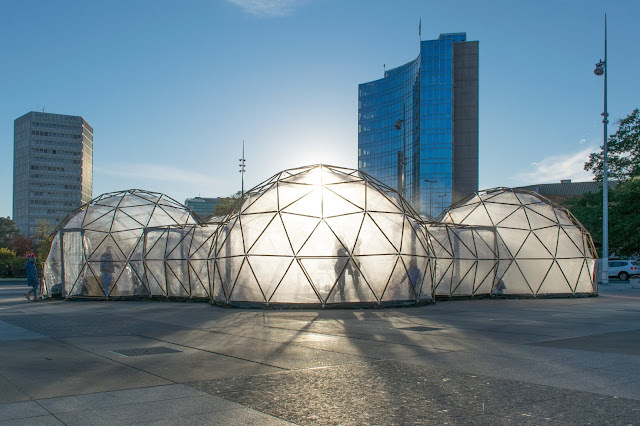 In 2017, artist Michael Pinsky was commissioned by the Norwegian University of Science and Technology (NTNU), as part of Climart, to create Pollution Pods, with the support of BuildwithHubs, which explores how visual art affects viewer perceptions of climate change. The Pollution Pods exhibit is at the forefront of large scale, immersive, interactive experiences, meant to be explored, provocative and Instagrammed as noted in the JWT’s Future 100: 2019 report which gathers disruptive currents into cultural forecasts. We collaborated on the artwork, which is composed of five connected domes. Each pod represents a city and each takes visitors into a simulation of the pollution of five major cities, via scent, temperature and humidity, complete with an olfactory experience crafted by an IFF perfumer. Aligned with IFF’s commitment to sustainability, it was not only an opportunity to build a bridge between art and science to help safeguard life on our planet but also an exciting way to push the boundaries of what is possible as pioneers of the senses. Each perfumer has a personal connection to the locations represented by the pods and they combined their local expertise with our proprietary palette of ingredients & technologies to create a realistic and vivid simulation of the air quality. Dino Kong, a perfumer based in Shanghai, China, has spent numerous winters in Beijing. It is cold, dry and dusty, which combined with bad traffic makes the air rough in the throat. Additional elements are burning coal and sulphur. He made use of IFF’s Scentemotions research platform, which tags perfumery materials with moods and emotions by culture and demographic group. Making use of ingredients tagged ‘musty’ and ‘unhealthy’, he incorporated sulphuric-smelling elements from Cassifix and Tropicalia, together with guaiacol for smoke, and hay absolute to give a scratchy sensation. I was very excited to be working on this project. I’ve been to Beijing since I was a child, many times. I love the city, but the pollution has gotten worse over the years. It’s getting much more crowded, with more people, more buildings, and more vehicles… There are coal, wood, lots of sulphuric smells, creating low visibility - the pollution is worst in winter. I tried to create this scent with an acid/sulfur/burnt wood combination, bringing a dry, scratchy, pungent feeling that expresses the unhealthy, musty air in Beijing during winter. My favorite olfactive/taste memory from Beijing can be traced back to my childhood. I like a traditional snack called “Fuling jiabing” (a ‘poria cocos ‘or fuling pancake, usually made from a mixture of the herbal plant and flour and stuffing). It tastes and smells like a combination of bitter, Chinese herbs with sweet syrup, rich flavor. How Can Pollution Pods Help? Pollution pods helps people to actually smell the scent of pollution, to feel the shock, within minutes, by moving through the pods, representing each place. It helps you realize the importance of protecting the environment. My favorite part in this in project was having the opportunity to recreate the smell, unique to Beijing. And then, next to the scents from other cities, to get to smell them one by one, this was like travelling around the world. Globally, we are facing the same problem with pollution. It’s one Earth, one world, one home for us. We have to accelerate climate change action, to gather our efforts together for a better world. 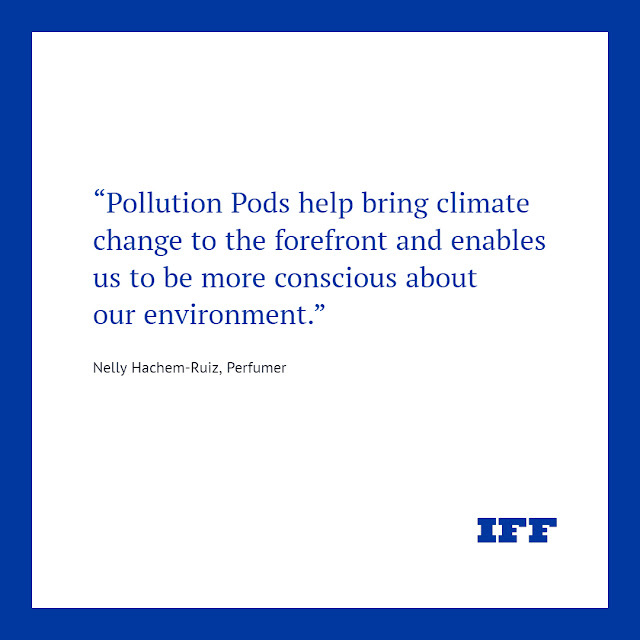 It was a honor for us to create the scents for Pollution Pods. We care about the environment and we are committed to sustainability and to creating an eco-friendly world. As a point of contrast between the cities, one dome offers clean air, based on the scentscape of Norway’s pine forests. 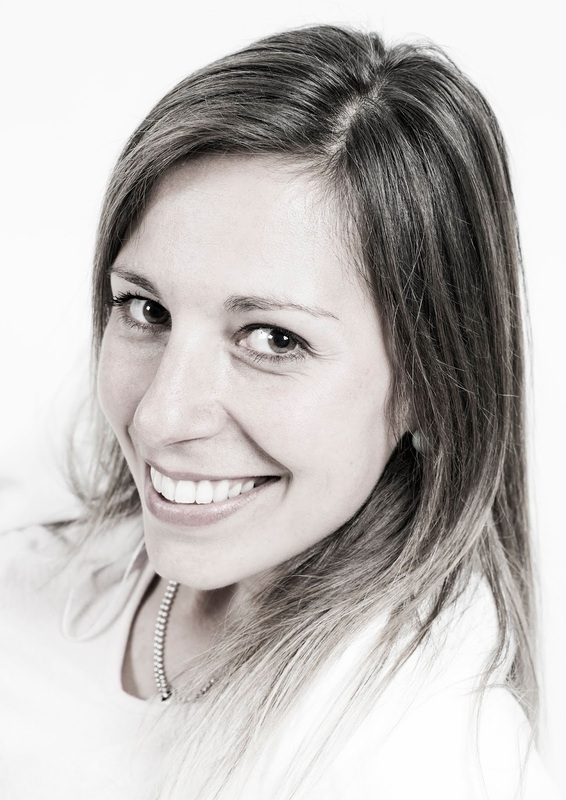 Nelly Hachem-Ruiz, a Perfumer based in France, used a material called Koavone, which in a high dose offers an exhilarating and diffusive pine scent. A cooling effect came through the addition of Cristalfizz and Menthol. The essence of pine needle gives the naturality and the strength to the scent that reminds us the immensity (infinity) of the forest. I imagined the experience of taking a walk in the amazing, cold nature of the Norway landscape, surrounded by a forest of pine trees. I made a cold pure piney fresh smell with few simple ingredients that could transport me back to this experience I had imagined. Exhibits such as Pollution Pods help bring climate change to the forefront and enables us to be more conscious about our environment. I worked with a palette of natural ingredients to create this scent but its authenticity would not have been possible without the addition of our pioneering fragrance ingredients. Being able to think about and smell the scent I created, while immersed inside this dome, was one of my favorite experiences and I love that I get to share that moment with the world. Aligned with IFF’s commitment to sustainability, it was not only an opportunity to build a bridge between art and science to help safeguard life on our planet but also an exciting way to push the boundaries of what is possible as pioneers of the senses. Each perfumer has a personal attachment with the locations represented by the pods and they combined their local expertise with our proprietary palette of ingredients & technologies to create a realistic and vivid simulation of the air quality. According to a WHO survey of 1600 world cities, the air quality in Delhi is the worst of any major city in the world. Motor vehicle emissions is one of the main culprits along with fumes from burning plastic, fires on nearby agricultural land, and the use of cow dung and crop residues for cooking. Avinash Mali, a Junior Perfumer, based in Singapore, incorporated materials such as the waxy-smelling Dimeth Octanol to suggest chemical industry emissions, Natrotar to achieve burnt wood, and Adoxal to evoke agricultural fires. A dirty water garbage element was added via the synthetic animalic material, Skatol. Also the capital city of India, New Delhi is the largest commercial city in Northern India. In 2016, New Delhi became one of the hundred cities in India chosen by our Prime Minister Narendra Modi to be developed as a smart city. The government program Smart Cities Mission, launched in 2015, aims at making Indian cities friendly and sustainable. The city is already among the world's fastest changing cities, with an ability to embrace technological change, and deal with rapid population growth while strengthening global connectivity. Having said that it’s facing serious issues of pollution and now it is known as one of the world’s worst polluted city. 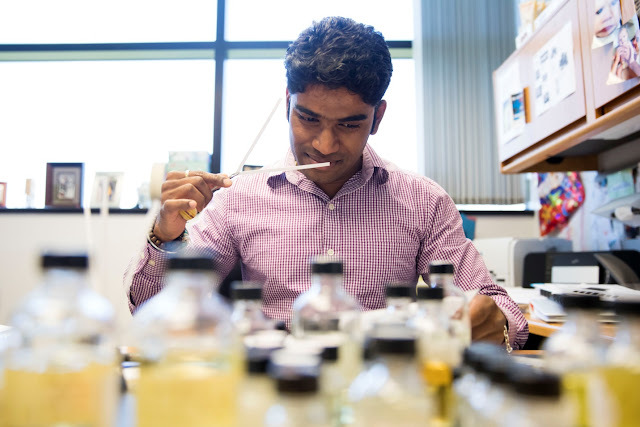 We all want to contribute to our nation’s growth & recognition on a global platform. Our Prime Minister Narendra Modi’s vision for India inspired me to address this issue of pollution. New Delhi is really famous for its historic architectures & monuments, delectable street food and Delhi Haat, the handicraft market. My favorite olfactive memory from New Delhi is its delicious food aromas, savory to sweet. You can literally see colors while you smell food & can imagine their smells, while walking through its colorful handicraft market. For me, it’s a mix of smell & colors. Climate change is a global challenge that requires a global response. The impact of climate change is being felt by countries around the world. 2016 was the warmest year on record, and the third consecutive year that record temperatures have been set. There are so many initiatives taken globally to address the impact of climate change on humans & on our planet. 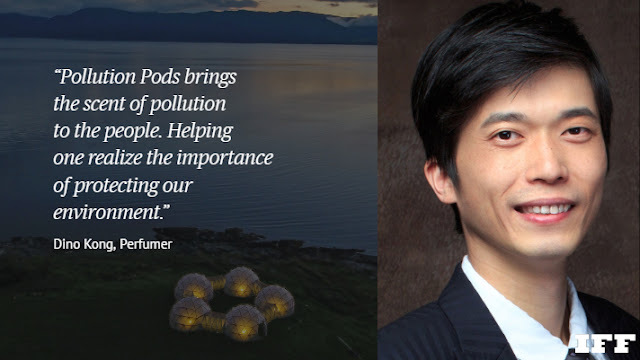 Pollution Pods will definitely help people realize the actual situation of different cities in the world & how challenging is for people to survive. The best part of working on this project is the feeling of “I will be contributing to change the world for its one of the major concerns of existence”. And I got this opportunity through my passion of perfumery. I have started paying attention on to how much waste I am generating. I have preference for “reuse,” some very simple examples – using a metal bottle for drinking water, coffee mugs, and reusable utensils - so indirectly, I am cutting down the use of plastic. Use both sides when printing or use an unused side of a page to print – you can indirectly reduce the use of paper. Change starts from me. I am making sure that my friends & family are following such basic changes. We all deserve safe clean & healthy surroundings to live. We all have to act now to secure safe & healthy places for our future generations. 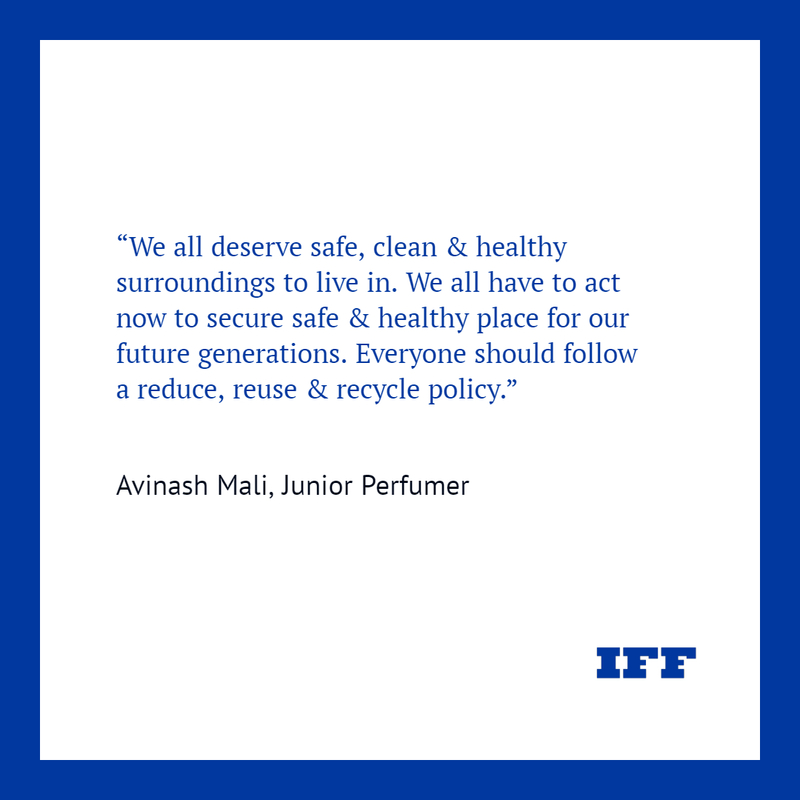 Everyone should follow reduce, reuse & recycle policy.